Midnight Started the Party Pups as a "solo" routine back in 2001, she was an amazing dog and the best friend anyone could ever dream of and she was just adored by all who met her! Below are pictured the generations of Party Pups that began our history! 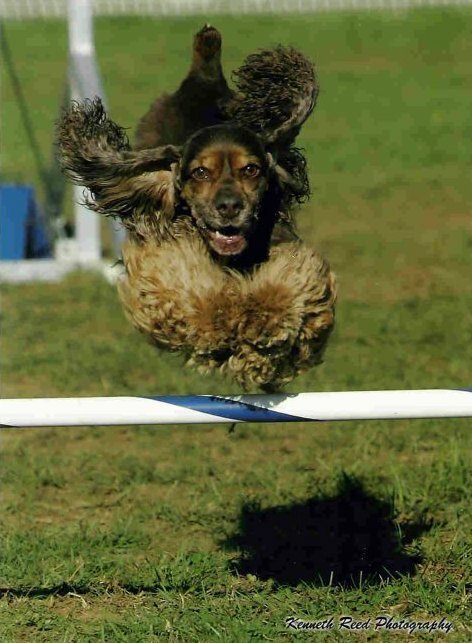 Bosco dazzled the crowds at the parties in his day, his speed and enthusiasm were matched by none. Bosco Boy is the Pappa of the current Party Pups, Andy, Gemma and C.C.! Angel is Chyna and Amber's Great Grandma!! MACH 2 Mamaradlo's Auggie Junior. MXC, MJC THD "A.J." Oreo was "Therapy Dog Extraordinaire!" 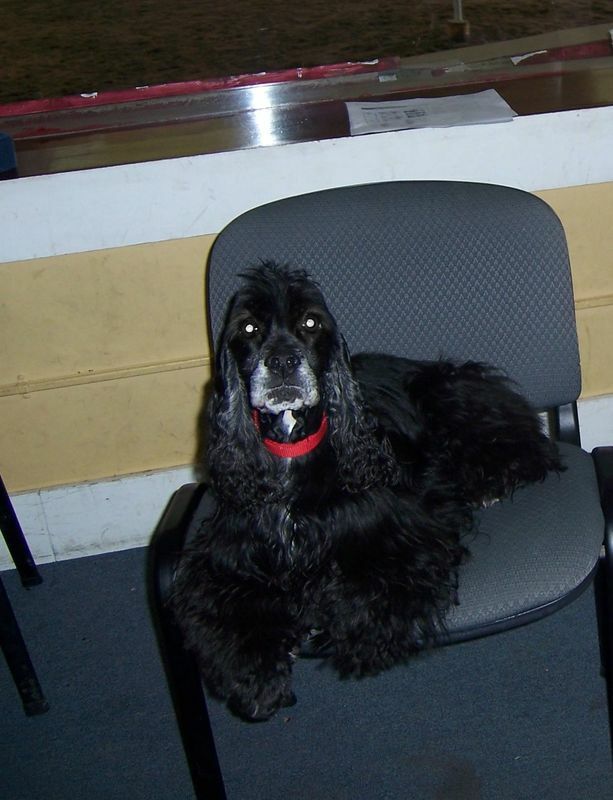 Better known as my "cookie boy"
Pebbles worked as therapy dog and a Party Pups through her elderly years and was loved by ALL who met her.